After working as a blacksmith in his native Vermont, Deere moved west and set up a smithy at Grand Detour, Illinois. 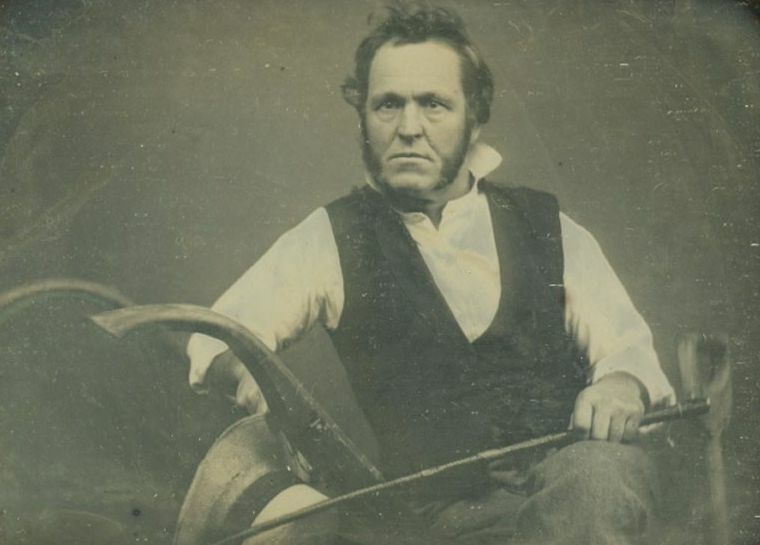 Kept busy repairing plows broken by the tough prairie soil, he hit upon radical design improvements, finally producing a plow of his own in 1836 with a hard steel share shaped like ship’s prow. It was the plow that broke the plains— enabling the productive agricultural exploitation of vast tracts of the prairies and Great Plains, thereby opening much of the West to homesteading settlement.